Mental health systems are complex. Care is provided by multiple organisations and occupational groups. Ideas and practices are open to contest. This complexity creates difficulties for people using, and working in, services and helps explain the importance of care coordination. 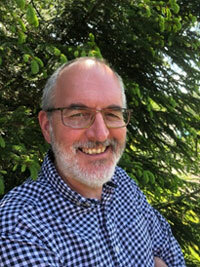 In this seminar Professor Ben Hannigan briefly trace the history of formalised approaches to mental health care coordination before using data from the COCAPP study (Simpson et al, 2016), subjected to a new analysis (Hannigan et al, 2018), to distinguish how it is imagined care coordination is done from how it is actually done in practice. Simpson A., Hannigan B., Coffey M., Barlow S., Cohen R., Jones A., Všetečková J., Faulkner A., Thornton A. and Cartwright M. (2016) Recovery-focused care planning and coordination in England and Wales. Having previously practised as a community mental health nurse in East London. His personal research training has been in in-depth qualitative case study design and methods, and he now collaborates with colleagues (including people with lived experience of mental health difficulties) to study mental health systems. This is his preferred term as it captures the idea that everything is connected: people, policies, processes and practice. Ben is Vice Chair (and Chair Elect) of Mental Health Nurse Academics UK, and in 2017 became Professor of Mental Health Nursing.